It is a nice TDM map with a deadly environment and some plants . 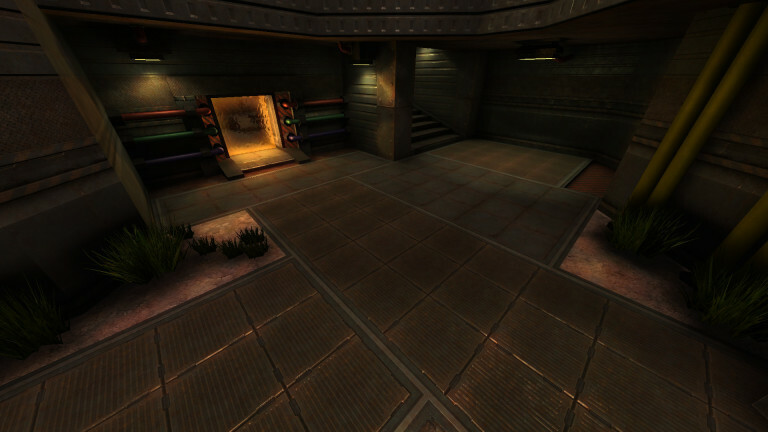 The map uses a rusty brown colour scheme fitting the chemical element bromine. There are two steam exhaust, which can kill you... So be aware! 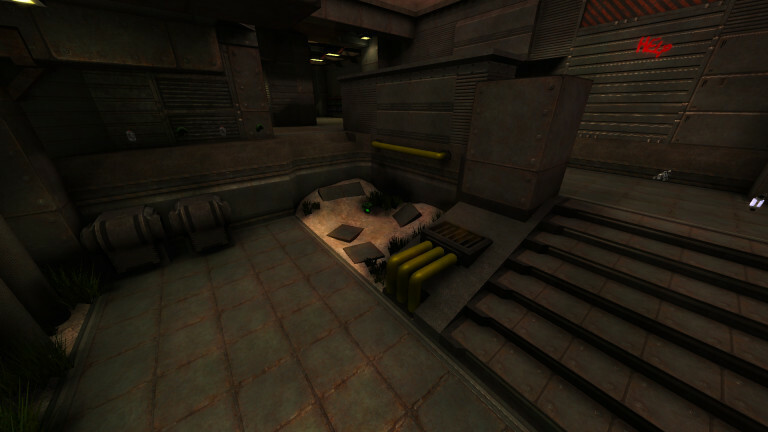 Strength and Shield room are directly connected with a warpzone. 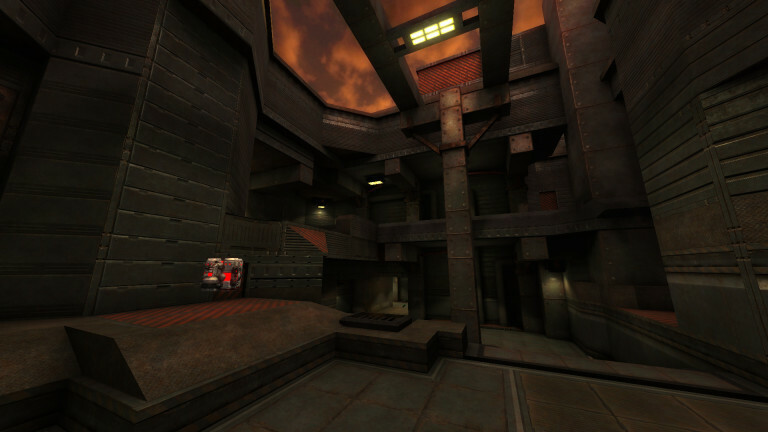 And the map features a very intense gameplay. 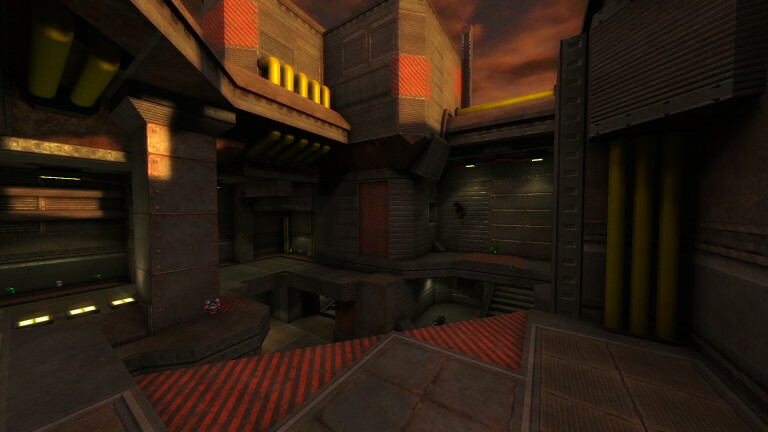 Bromine is an awesome map, always a nice change from tiny overcrowded duel maps. Makes me wonder why it doesn't ship with xon by default. Has is ever been considered? Also, what secret passage? The only thing that occurs to me is from MA to quad but that's not very secret. Is there something else? Bromine is so good it feels like a part of me.